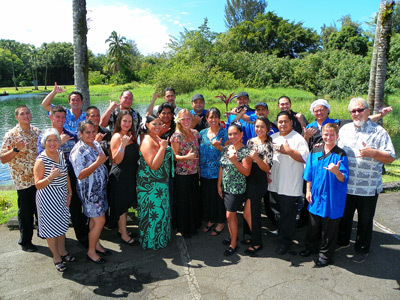 Ponds Hilo “Dining on the Edge” was voted one of the best fine dining restaurants by the East Hawaii community. Since opening in 2009, our dedicated, professional and friendly staff takes pride in serving you. Each dish is prepared with Aloha to “Excite your Eyes” and "Please your Palate!" 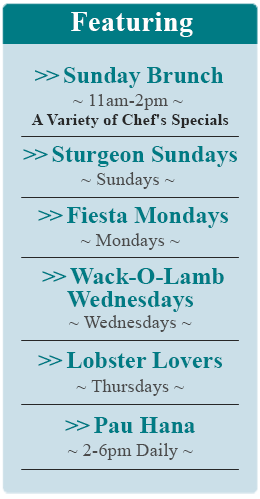 Our menu offers a variety of local favorites and traditional entrees using fresh ingredients from local farmers. Celebrate your birthday or anniversary with a Brownie Sundae Ala Mode…Compliments of Ponds! A popular dining destination among locals and visitors, Ponds Hilo is the perfect place to relax and enjoy “Dining On The Edge”! E Komo Mai!